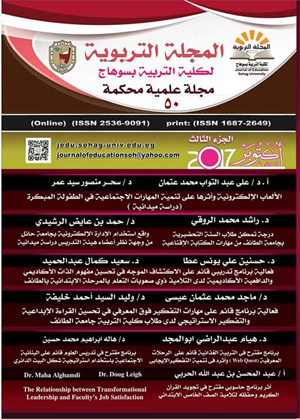 هدفت الدراسة إلى التعرف على درجة ممارسة الشفافیة الإداریة لأعضاء هیئة التدریس فی الجامعات السعودیة، والکشف عن الفروق بین استجابات أفراد عینة الدراسة حول درجة ممارسة الشفافیة الإداریة تبعاً لمتغیرات: الدرجة العلمیة، والتعرف على متطلبات توافر الشفافیة الإداریة فی الجامعات السعودیة. 1- أن درجة ممارسة الشفافیة الإداریة بشکل عام فی الجامعات السعودیة من وجهة نظر أفراد عینة الدراسة کانت بدرجة متوسطة. 2- توجد فروق ذات دلالة إحصائیة عند مستوى (0,05) بین آراء أفراد عینة الدراسة حول الدرجة الکلیة لممارسة الشفافیة الإداریة ومجالاتها تبعاً لمتغیر الدرجة العلمیة. وبناءً على نتائج الدراسة تم تقدیم عدد من التوصیات والمقترحات. the degree of administrative transparency of the faculty members in the Saudi universities and to identify the differences between the responses of the members of the study sample on the degree of administrative transparency according to the variables of the degree and the requirements of administrative transparency in the Saudi universities. The study aimed to identify the degree of administrative transparency of the faculty members in the Saudi universities and to identify the differences between the responses of the members of the study sample on the degree of administrative transparency according to the variables of the degree and the requirements of administrative transparency in the Saudi universities. The degree of practice of administrative transparency in general in Saudi universities from the point of view of the members of the sample of the study was a medium degree. There are differences of statistical significance at the level (0,05) between the views of the members of the sample of the study on the overall degree of the practice of administrative transparency and areas depending on the variable degree. Based on the results of the study, a number of recommendations and proposals were presented.